Embroider It has access to many quality garment manufacturers so we can offer discount embroidery. No matter what your game is, our embroidery shop has got you covered. To make an impression in the board room with top quality fashion garments or show off your team colors with durable team uniforms on the field. 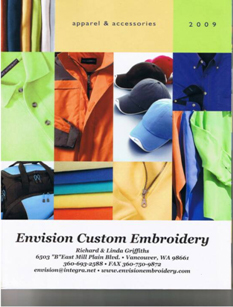 We offer a complete line of quality and stylish garments that will show off your professional embroidered logo. You can browse through our online catalogs to choose from our selection of garments or just let us know and we will provide you with a printed version. You can trust that when you choose us you're getting the finest in Vancouver embroidery. We offer the complete line of Richardson Hats. 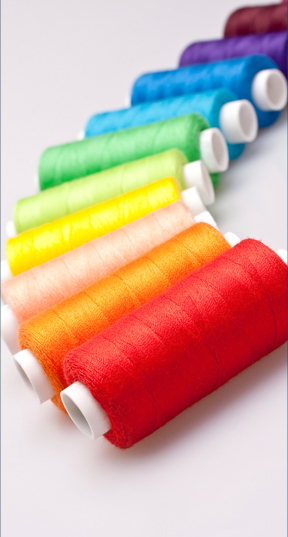 Embroider It offers a complete line of safety and high visibility apparel that meet current safety regulations. We will also embroider on any garments that you can provide. You may already have a source for garments, but do not worry. That is not a problem for us. All of the Embroider It online catalogs have prices listed, but we do offer discounts for volume and many items are on special throughout the month. Just give Embroider It a call and we will be more than happy to quote you the current prices. Embroider It also offers wholesale prices to ASI members.